You can win this dress or another one of your choice. Un week-end placut iti doresc! Lovely dress and nice shoes! OMG love this look,it suits perfect on you!! NEW POST - COME FARE SHOPPING ONLINE IN PIENA SICUREZZA! Amazing look, I love this dress and bag! I want it! :) xo A. You look sooooo cute and stylish! Imi plac la nebunie sosetele cu pantofii! Gorgeous colors!!!!!! Love the bag!!!! lovely look! so pretty you are! Outfitul perfect pentru back to school!Adorabil! That is one cute dress, lovely look. Chiar este o tinuta perfecta pentru o zi de scoala! Iubesc tinuta asta. e absolut superba. You're hair, dress, bag, and cute socks ♥♥ ! Those shoes are to die for! :D I like the collar on your dress, too. first i really love the peter pan collar dress especially the peter pan collar detail and then i love how you popped that colour in the shoes and bag which make them really stand out! You look so cute. I love your dress and shoes! They are amazing! Wow, another great way to wear this dress! 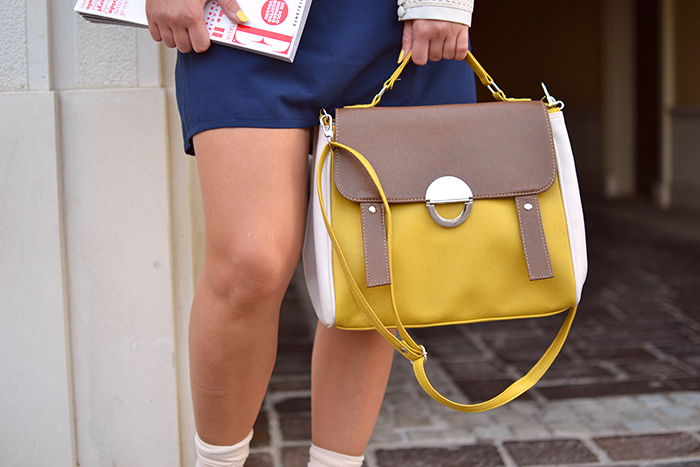 Love the pop of yellow from your shoes and bag! I would totally wear this to school! I love this dress! You look so beautiful! I love your dress and the bag!! yes of course!! I follow you now, It´s your turn dear. è la prima volta che la scuola mi attira....un attrazione blu! ce frumos ai asortat rochita <3 super scumpica! rewelacja! torba jest boska i to połączenie kolorystyczne - super !!! Great look!! Love the pops of yellow! Bellissimo il vestitino!! i capelli ti stanno benissimo!! bell'outfit..mi piacciono molto le scarpe e il colletto del vestito! ;) ti seguo volentieri! Hi Nicoleta :) i love you style, so simple, but so elegant! What a cute dress:)! Love this Nicole!! Looking fabulous in this dress! 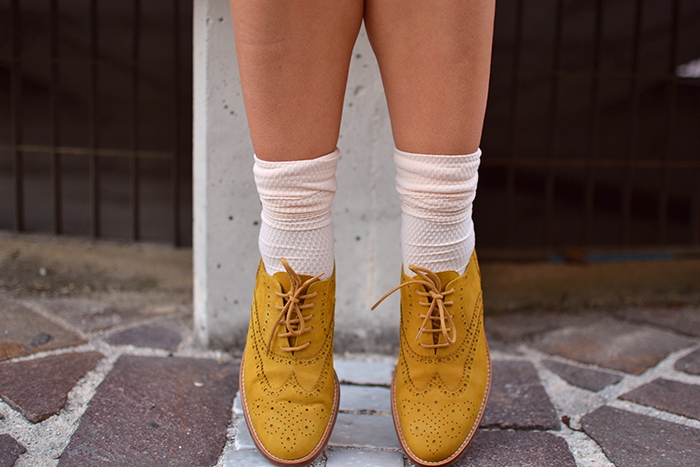 Mustard yellow + cobalt blue = gorgeous color combo! I loved your blog! It's amazing! Your outfit is so beautiful and I love your shoes! love your outfit!! the dress is amazing!! thank u for the nice comment! following u and hope u follow back soon! Aw such a cute outfit! I really like the yellow dress in combination with those yellow shoes and bag! Thank you so much for following me & following you back! Your dress is so cute! love how you combine to use! You have lovely dress and beautiful ombre hair <3 Love them! Owh my. I totally love your dress & bag! They are soooo lovely and awesome at the same time. You are so cute. :) Love your outfit. Awesome look! I love your hair! That's a great outfit! wanna follow each other? :) Let me know! hi ^^ Cute shoes. I like it! Adore the blue and yellow combo, you're so darn adorable!!!!!!!!!!! Cute as a button! hi darling!here i am! i'm a new follower! Hi, you look so cute in that dress. I'm your new follower, Positive Fountain, that's me, please, follow me back. Thank you. Passa da me, HO CREATO ANCH'IO UN OUTFIT BACK TO SCHOOL!!!! Thanks for stopping by my blog! Following you now :) LOVE these shoes! Great blog. Thank you for your comment-watching. I hope you love me too: D.
Thanks beautiful ! I follow you :) Kiss from Poland ! awesome! love the dress, so unique and chic. Love your blog, definitely love your blog, darling and I'm following it as you asked.. Soo,waiting back now. Amazing look! I love the colours of your outfit! It would be great to follow eachother, I´m following you now with gfc and bloglovin! Oh that's such a great outfit! 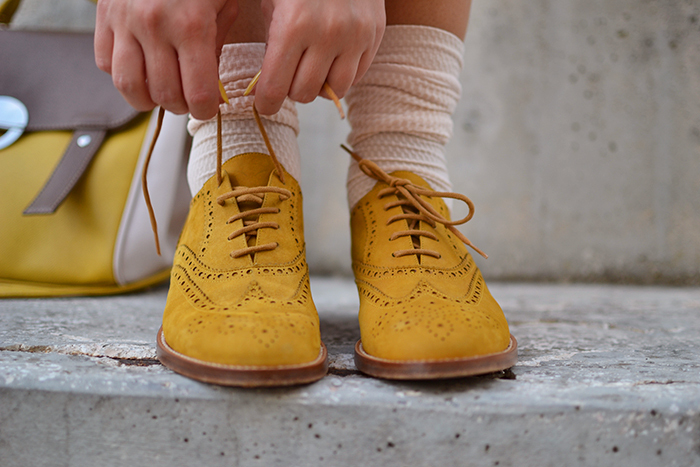 I looove the mustard shoes. That is just amazingly cute! Beautiful look! I love that preppy style. Love the blue and yellow tones together, stunning! I love the dress ! So retro and girly! Totally back to scool! you are amazing ! *. * nice school outfit ! It riminds me of the school dress we used to wear in Greece the old days! Blue and yellow, I like so much the combination. OMG!! el look es ideal! ME ENCANTA! Un beso guapa! y me encantan las fotos!! Beautiful dress :) I like it with the yellow accessories. The dress is great, I love it. new make up in my blog! Such a cute outfit,love it. aaaa super love your dress and oxford shoes <3 they matched each other! by the way i am a new follower of you, i will be pleased if you follow me back :) thanks! This is so sweet.Love the dress and those gorgeous little shoes. Omg this outfit is soooo adorable! 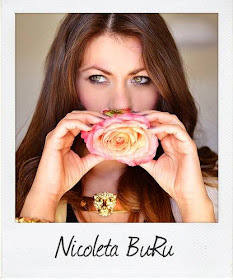 Nice blog Nicoleta! wow, this looks so amazing! Thank You very much, I love you distinguished blog! Hugs. I follow you now and by face! oh god you are so stylish! Love the dress,this blue is my favorite color!! Ohhh darling, esti asa de cute <3 papuceii sunt minunati , de fapt tu esti superba! ho visto il tuo look su chicisimo ed ho deciso de visitare il tuo blog!! mi piace!! si voui visitare il mio blog e si te piace potemi seguerci! un bacio grande dalla spagna!! !